Traditionally, retaining walls have been thought of as practical solutions for landscape issues such as erosion or loose soils. While these are necessary uses of retaining walls, it’s time to think outside the box! 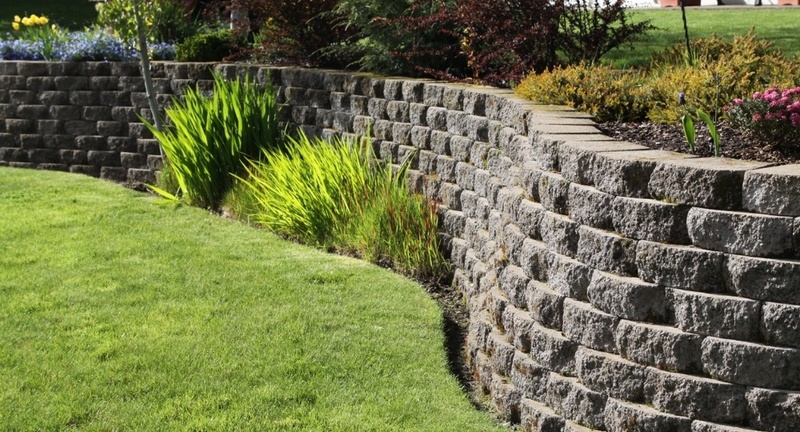 Retaining walls can also be used for a number of value-added and aesthetically pleasing landscape features. Think about using retaining walls to create planting beds, multi-use spaces, sitting walls, or transitions to sidewalks. Retaining walls can carve out areas for patios, change steep slopes into terraces, or simply add beautiful landscape features to your outdoor surroundings. A good place to start your planning is your local city hall. They can provide you with a scaled map of your property, which can be helpful during the planning and designing process as well as show you where your property lines are. It’s also advisable to contact your local utility companies to understand where any water, sewer, gas, and electrical lines may be buried on your property. Once you have acquired a scaled map of your property from your city hall, a useful tactic for designing retaining walls is to start at the lowest point and mark all of the grade changes in increments of one foot on your property map. This type of topographical map will help you understand the various elevations and grade changes on your property, and will help determine the height of your wall. Cut Sites: Retaining walls that are built directly into an existing slope. Require excavating the soil of the slope before the wall is built. Fill Sites: Built on an existing slope. Require additional fill behind the wall, as the wall is built. Consult with a professional for any slope that is greater than 3 to 1 (i.e. 3 feet over, 1 foot down). If your retaining wall is over six feet high or if there is a slope below the retaining wall, consult with a professional before beginning your project. Another factor to consider is the type of soil on your property. In general, granular soils are better for this type of project than clay soils. 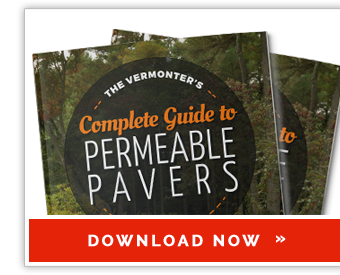 Heavy clay soils may require reinforcement. How can you tell whether you have granular soil or clay soil? Pick up a handful and squeeze it. Granular soils and sandy soils will not form a ball when squeezed; clay soils will. Also, never use organic soil to fill around a retaining wall. When squeezed in your hand, organic soil will form a ball, then fall apart. If the soils surrounding and underneath the area where the retaining wall is to be built are of poor quality, they should be removed and replaced with higher quality soils. Although replacing soils will add to the overall cost of your retaining wall, poor quality soils take longer to compact and over time can cause issues with the integrity of your retaining wall. Another factor that will determine the type of retaining wall you’ll want to build is what is uphill from the site. Added pressure uphill from the wall such as driveways, patios, or pools are known as “surcharges.” If the surcharges add enough pressure to the retaining wall, the wall may require reinforcement. The amount of reinforcement needed will determine whether your wall is a Gravity Retaining Wall or a Reinforcement Retaining Wall. Reinforcement Retaining Wall: Requires reinforcement, typically using geogrid. Gravity Retaining Walls: Do not require reinforcement and can hold the soil behind them with their own weight. Use this chart to find the maximum height that your retaining wall can be built before reinforcement is required. To determine the amount of geogrid reinforcement you will need, match your wall to the conditions in this chart. The degree to which the retaining wall leans back into the soil behind it is called the “set back,” and is another factor that will determine whether a Reinforcement Retaining Wall or a Gravity Retaining Wall is required. One final consideration to take into account is access to where the retaining wall is to be built. Some sections of some properties may be difficult to access, especially with excavating equipment or building materials. Retaining walls are for more than just utilitarian. They can actually add value and beauty to your landscape! Take these five considerations into account while planning your retaining wall project.